The rarest hamster, the HUMAN HAMSTER!. 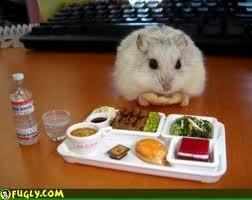 This particulaly special hamster has the brains of a human in side him, making him the smartest in the world. (BTW, he's not my hammy). Wallpaper and background images in the Hamsters club.